Buildings can become greener. They can use more recycled steel and can be prefabricated in oﬀ-site factories, greatly reducing lorry journeys. But no other building material has environmental credentials as exciting and overlooked as wood. The energy required to produce a laminated wooden beam is one-sixth of that required for a steel one of comparable strength. As trees take carbon out of the atmosphere when growing, wooden buildings contribute to negative emissions by storing the stuﬀ. When a mature tree is cut down, a new one can be planted to replace it, capturing more carbon. After buildings are demolished, old beams and panels are easy to recycle into new structures. And for retrofitting older buildings to be more energy eﬃcient, wood is a good insulator. A softwood window frame provides nearly 400 times as much insulation as a plain steel one of the same thickness and over a thousand times as much as an aluminium equivalent. 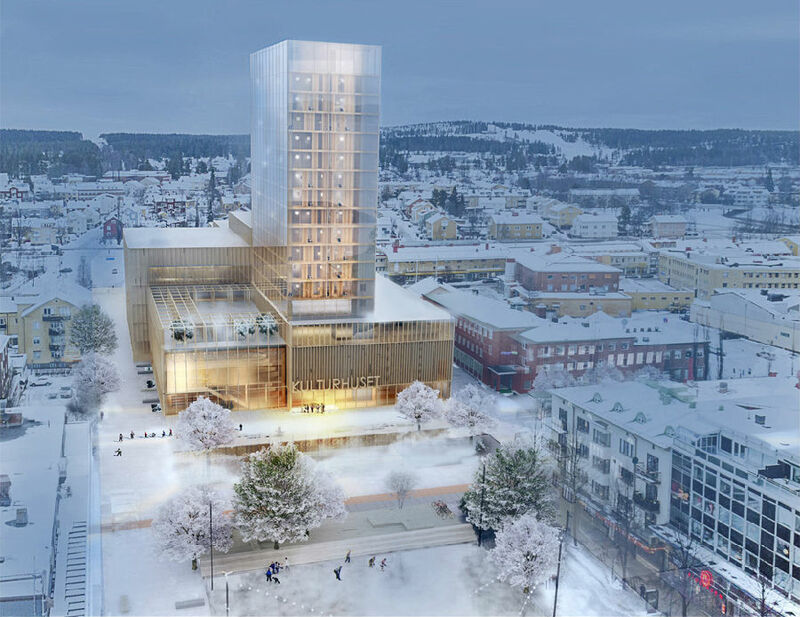 A race is on to build the world’s tallest fully wooden skyscraper. But such edifices are still uncommon. Industry fragmentation, vicious competition for contracts and low profit margins mean that most building firms have little money to invest in greener construction methods beyond what regulation dictates. Governments can help nudge the industry to use more wood, particularly in the public sector—the construction industry’s biggest client. That would help wood-building specialists achieve greater scale and lower costs. Zero-carbon building regulations should be altered to take account of the emissions that are embodied in materials. This would favour wood as well as innovative ways of producing other materials. Construction codes could be tweaked to make building with wood easier. Here the direction of travel is wrong. Britain, for instance, is banning the use of timber on the outside of tall buildings after 72 people died in a tower fire in London in 2017. That is a nonsense. Grenfell Tower was covered in aluminium and plastic, not wood. Modern cross-laminated timber panels perform better in fire tests than steel ones do. Carpentry alone will not bring the environmental cost of the world’s buildings into line. wrong, just before his time.